"Color-Trends Industries" is one of the most reputable and organised manufacturer of Organic Pigment Powders, Pigment Emulsions for Textile Industries, Pigment Fine Paste-Dispersions for Paint, Paper Industries, Pigment Paste for Paint-FRP-Latex industries. Banking on our enriched industry experience, we are able to supply Organic Pigment Paste. Our range of quality Organic Pigment Paste are used in manufacturing P.U. 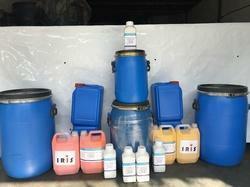 foam, textile paints, detergent etc. We ensure that the quality is standard and we also supply these Paste as per specific requirement for orders, many it be any quantity..
Our reputed entity is engaged in supplying Organic Pigment Paste. We are a renowned name, which is engaged in the manufacturing and exporting of excellent quality Organic Pigment Paste. The offered range of paints is formulated by the experts using finest quality chemicals in accurate composition. These paints are known for their environment friendly nature and precise pH value. We are engaged in providing a wide range of Pigment Paste to our clients. With an objective to fulfill the ever-evolving demands of our clients, we are engaged in offering a wide assortment of Organic Pigment Paste. 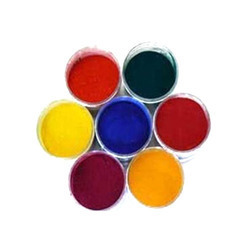 Standard Dyes & Chemical Co.
From our wide consignment, we are engaged in supplying Organic Pigment Paste. With the help of our expert team members, we have been able to provide Organic Pigment Paste.